Why Choose DaVinci Roofscapes for Commercial Projects? TCO! Across the country new construction and remodeling commercial project planners are discovering that polymer roofing options from DaVinci Roofscapes deliver dependable results. From New York to Oklahoma to Colorado, DaVinci composite roofing can be found topping off university buildings, hotels, country clubs, apartment buildings and churches. "Project managers reviewing the 'Total Cost of Ownership' aspects when making commercial project roofing decisions continue to be impressed by DaVinci composite roofing products," says Mike Ward, vertical market manager for DaVinci Roofscapes. "They're determining which roofing products have the greatest return on investment from the standpoint of durability, longevity, low-maintenance costs and aesthetics. These considerations point them to DaVinci." According to Ward, the Total Cost of Ownership (TCO) analysis plays favorably for polymer roofing products because they resist impact, fire, insects, mold and algae. Other advantages that commercial project planners look for in sustainable roofing include the color being blended throughout each tile and a strong roof warranty. 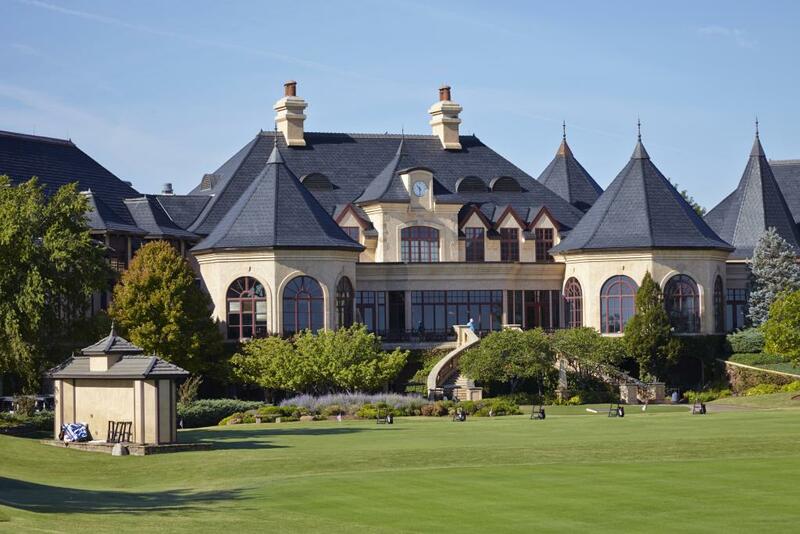 The elegant 55,000-square foot, three-level clubhouse at Gaillardia Golf and Country Club in Oklahoma City now boasts a new Bellaforté Slate Black-VariBlend polymer roof from DaVinci. "The new owners wanted 600 squares of a Class 4 impact-resistant roof system to replace the concrete tiles on their 15-year old country club," says Andy Lacks, vice president of commercial roofing with Mallard Construction out of Oklahoma City, Okla. "They wanted a durable roof system that would fit the high-end neighborhood surrounding the Gaillardia Country Club while withstanding severe weather. Our confident recommendation was the DaVinci impact-resistant tiles for this job." 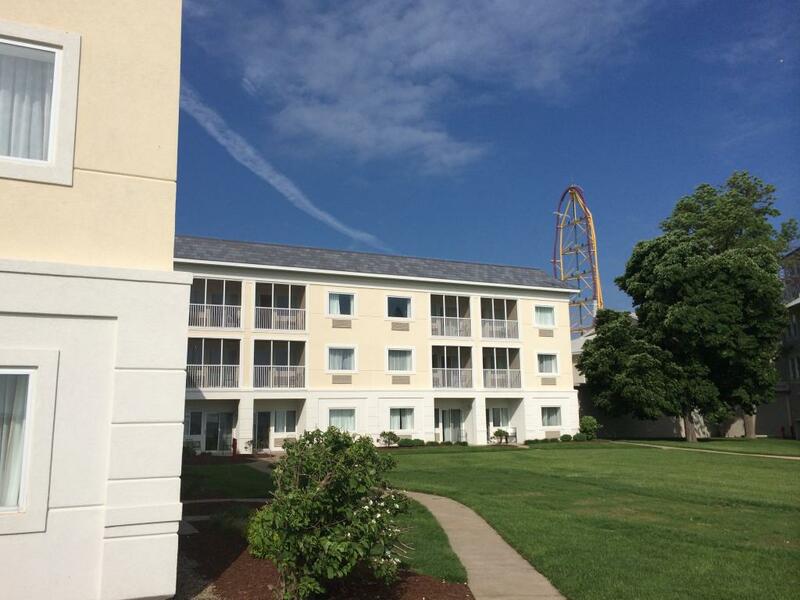 Opened more than 100 years ago, the 650-room Hotel Breakers is the original on-property hotel at the Cedar Point theme park in Ohio. In 2014 hotel management decided to invest in the European-VariBlend of Bellaforté imitation slate tiles. "One reason why Bellaforté was chosen was because the installation could be done in cold weather without having to warm the roof tiles before installation," says Jim Carson, vice president of A-STAR out of Macedonia, Ohio. "The hotel is on the shores of Lake Erie. That's a challenging situation, especially since we experienced the worst Cleveland winter in 30 years right in the middle of the installation!" 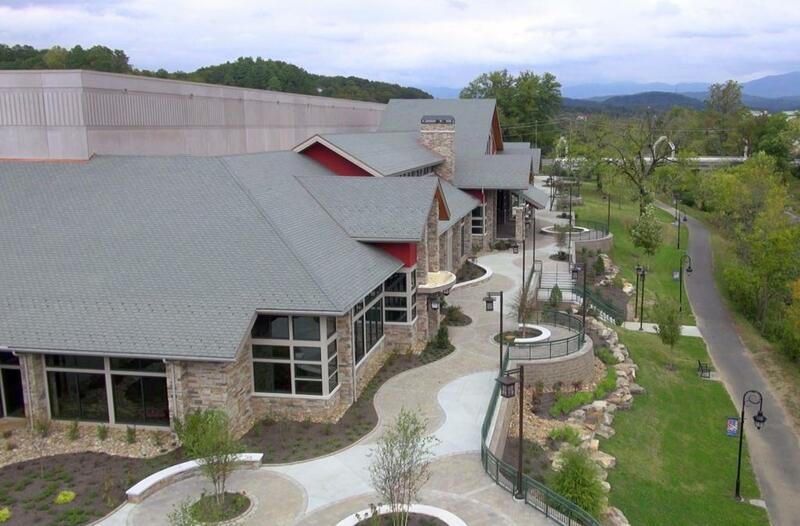 Opened in late 2013, the multi-purpose LeConte Center at Pigeon Forge in Tennessee includes 232,000-square feet of meeting and exhibit space in a sprawling lodge-type setting. Topping off the impressive structure is 965 squares of Single-Width Slate alternative roofing tiles from DaVinci in the Evergreen-VariBlend of light and dark green lightweight tiles to complement the facility's Smoky Mountain setting. "The size of this complex plus the building code limitations made it impossible for us to specify weighty, expensive real slate for the roof," says Michael Smelcer, principal with SRA Architects, Inc. "After researching our options, we selected the DaVinci Single-Width Slate product because of aesthetics, weight and Class A fire classification. The owners of the center were very open to using this particular polymer slate roofing because it gave them the mountain lodge look they desired." New life has been given to the historic 1888 Protestant Episcopal Church of the Covenant in Philadelphia. After several years of renovation — including the addition of a new DaVinci synthetic slate shingles overhead — the church's 12,500-square foot property has been converted into 16 luxury apartments called North Abbey. "The Bellaforté Slate roof we selected brings historical accuracy to the project while allowing us to have a roof that resists fire, impact, rot and decay," says real estate broker and developer Jordan Brody. "We were sold on this roof because of its aesthetic appeal, durability and longevity." (Pictures coming soon). Learn more about DaVinci commercial projects at Impact-Resistant DaVinci Roof Tops Kansas Church and Back to School with DaVinci Roofscapes.